So that big day is approaching! You must be excited, right? Out of all the obstacles, the wedding day photography turns out to be one of the most challenging aspects that you need to plan in advance. 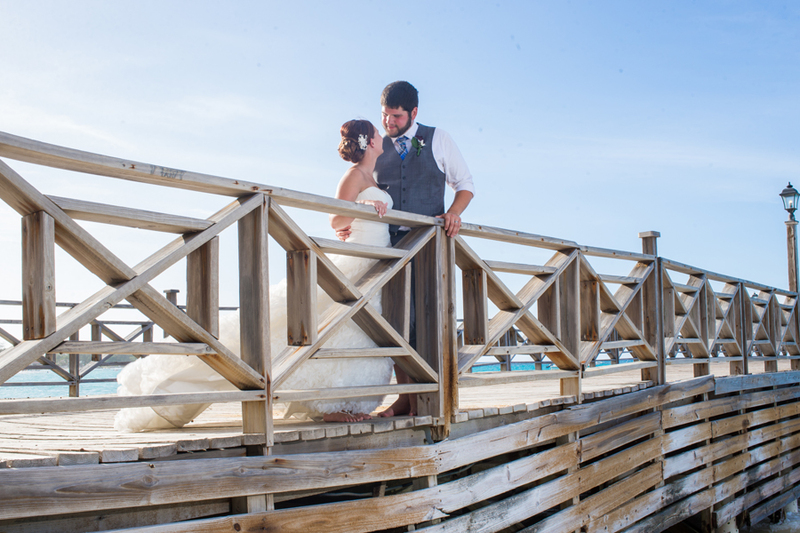 Your wedding day photography simply cannot go wrong! It is through your wedding day photographs that you are going to cherish the special moments together-for the rest of your life. If you wish to make it perfect, then here are some tips for coming up with the best wedding day photographers in Jamaica: • Take Help from a Professional Wedding Photographer: There is no denying the fact that great wedding photographs begin with a great, professional Jamaican wedding photographer. Therefore, you must consider hiring professional Jamaica wedding photography services to ensure the best result for your big day. 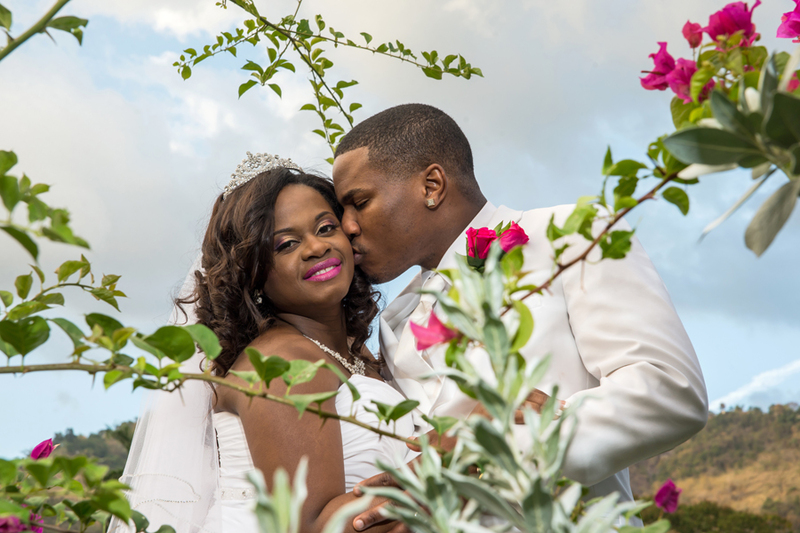 A professional Jamaican wedding photographer having relevant experience in the given field is well-aware of the ways to create some of the best-ever pictures of your special day. • Know Your Wedding Picture Style: If you are not much into photography, you can still consider getting friendly with the particular wedding photography style that you would like to adopt on the big day. Once you have gone through the photographer’s portfolio, you can decide on the particular style of photography you would like for yourself. This will help the photographer in creating some of the most magical moments for you & your partner on your special day. • Know the Angles Right: Getting the perfect shot is all about finding the right angles. Though your photographer might help you with the angles, you can still be aware of the perfect angle that looks the best on you. As such, you can deliver some great shots on your wedding day. 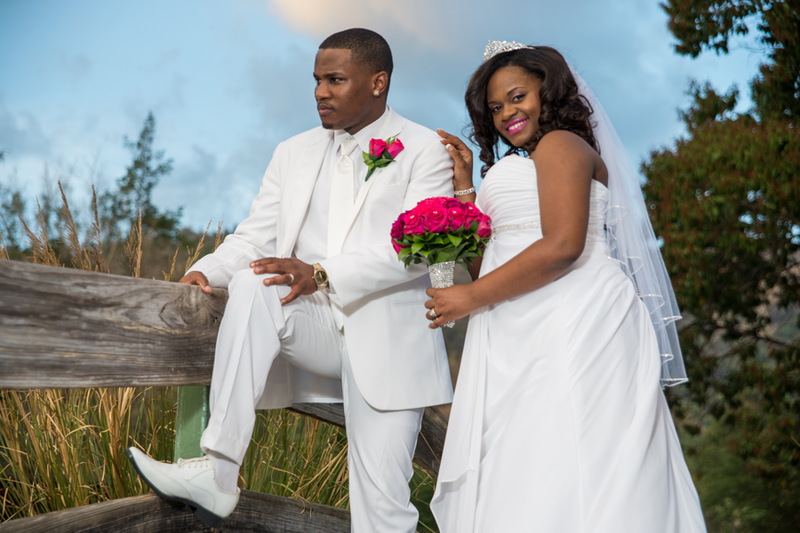 Hire professional Jamaica wedding photography services now! Are you in need of professional Jamaican photography service? You want reliable information on how to get the best service in Jamaica …The solution is here Dream wedding photography is all about the moments. We believe a professional wedding photographer is not one who has the equipment and practiced the talent or the experience acquired but must be able to give something unique and beautiful. With our experienced as a professional Jamaica wedding photographer, we will provide you with indoor and outdoor wedding photography services; beautiful enough for a bridal magazine without keeping you from the celebration. More so, we understand that your wedding moments are natural and created and both must be balanced to allow you to enjoy your wedding to the fullest. Dream wedding photographer is a professional. We are skilled at capturing the random moments that will put happiness on your families’ faces after the wedding. You don’t have to keep searching. Jamaica Wedding Photography is more than a craft; it is art and a way of creatively capturing precious moments of a life-changing event. They say pictures are more than a thousand words; wedding photos are even more than that; because they preserve the love, joy, and laughter of your special day. Over time, your mind will unwittingly forget the facts of your wedding, but an excellently taken picture will always remind you of the joy that flowed ceaselessly. Every wedding should have a photographer. If you agree with that, then you should consider hiring the best Jamaican wedding photographer to capture every moment of your wedding day. When choosing a Jamaican photographer for a wedding, you want to look out for a photographer with an eye for detail, someone who can find the beauty in a frenzied wedding dance off and capture it. You need a photographer who is able to blending into the proceedings of a wedding and can capture moments without interrupting the proceedings (startling the subject). The beauty of wedding picture is the realness, joy, love, and happiness that it captures. Jamaican photographers possess these qualities needed to capture wedding moments that are flush with love. Jamaican wedding photographers do not just offer the best service they charge a competitive fee because to them wedding photography is more than a craft; it is a living art and an act of preserving celebrated love for eternity. Do you know when a photographer considers himself successful? When people look back at the photos and goes through the same emotions that were captured in the photos. They smile, cry and laugh along with the photos. When the photos seem like a story that happened many years ago and yet are very dear to them. A Jamaican wedding photographer should gets immense pleasure from taking beautiful photos and becoming a part of the wedding story. Weddings are one of those most awaited events in the lives of couples who dream of sharing their lives together bound by matrimonial ceremonies. Planning a wedding is no easy task because of the fact that it is something multifaceted and complex because of the many preparations. Planning the wedding at the earliest possible time would be the best option to take rather than to rush the details; this would sometimes lead to some wedding disasters. However, what’s more daunting about the wedding preparations is deciding where to start. Making the announcement about the upcoming wedding is also quite nerve-racking especially when the parents or the family of one of the couple does not live somewhere nearby; planning for the engagement party would be as intricate as the actual wedding plans. Jamaica is a country that stands for beauty and freedom of the soul. From music to food, everything about it is full of life. The people are simple, friendly and helpful. 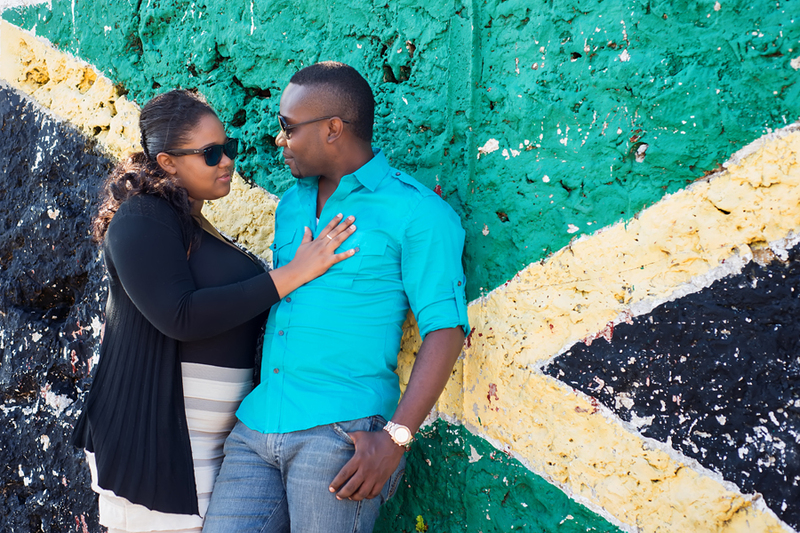 They approach life with a lot of zeal and that makes wedding photography in Jamaica exciting. Every wedding couple should warmed up to the idea of hiring a professional Jamaican wedding photographers and there are many photographers who work in Jamaica. 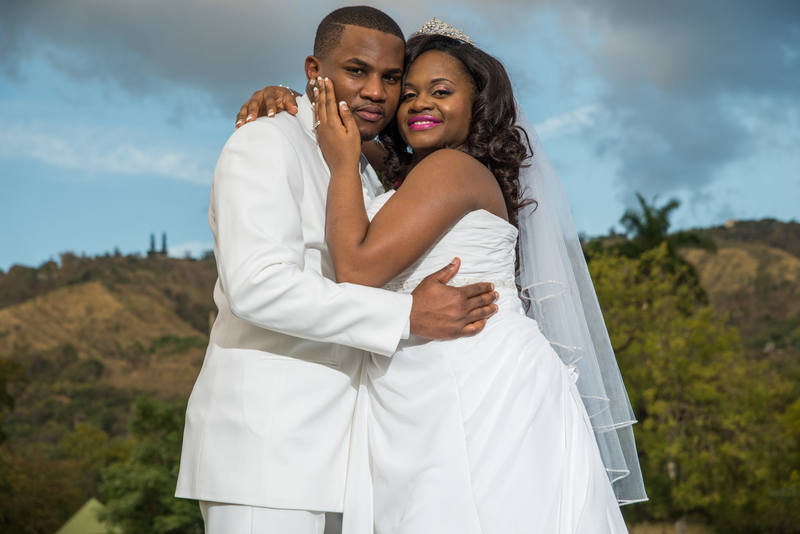 They offer Jamaica wedding photography service at competitive rates. 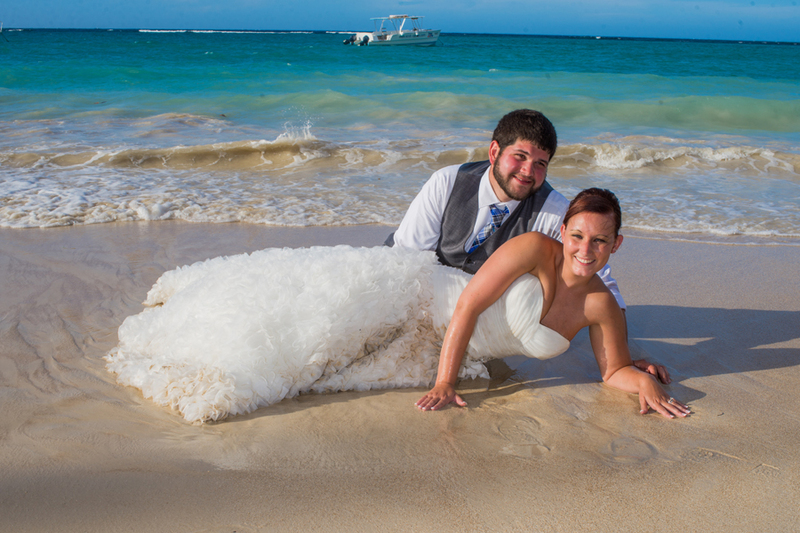 Jamaica wedding photography has flourished and there are many experienced photographers you can hire. 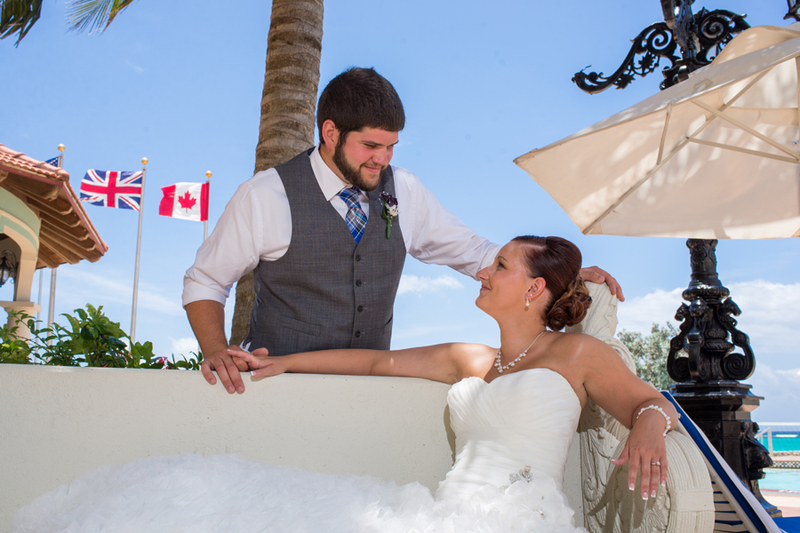 Hire a wedding photographer who is experienced and is ready to listen to your ideas. Let your photographer know you personal choices so that he can capture shots that highlight your mood. Your wedding photographer needs to be friendly so that you can get comfortable with him. Covering a Jamaican wedding is pure fun with all the interesting traditions and rituals being observed by the families. The friends and relatives chip in with their advice and everybody wants to have fun. Needless to say, Jamaica is a lovely place with lots of sunshine and beautiful locations. Destination wedding is very popular here as many westerners prefer to get married at the picturesque locations. The very first thing that the about-to-wed couple needs to do is to sit down for a while and start conceptualizing about the how they want their dream wedding to be. 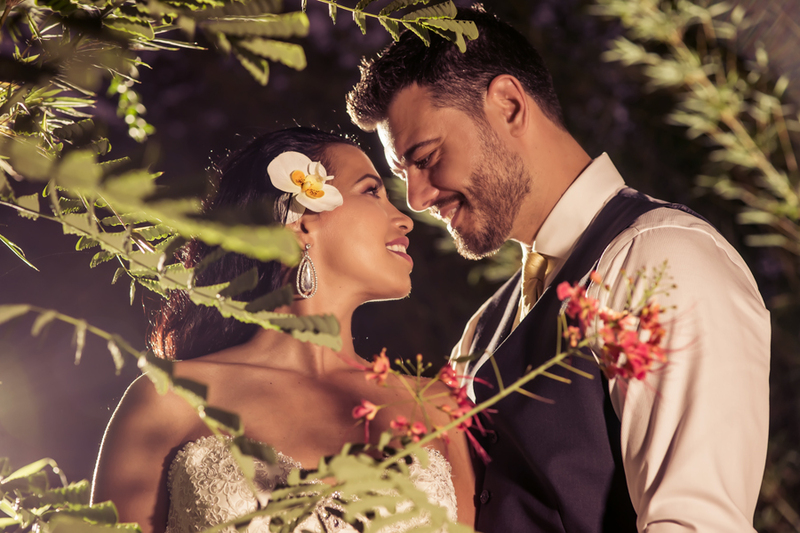 Being able to come up with the perfect wedding theme or venue; whether it be on a paradise beach island or on a mountaintop or what theme would perfectly fit for the couple’s personality and preferences. After the theme and the venue has been set, the nest thing that should be established would be an ideal time to set the wedding so that family members, friends, and other invitees could mark the date on their calendar and reserve that day for the most momentous exchange of wedding vows. What best way to hold a wedding than with the special people to share a wondrous occasion with the about-to-wed couple.Even with the wedding date and venue has been established, the couple has not reached even half of it because of the many details that they have to delve into like choosing the catering service providers, making reservations for the venue, choosing attractive floral arrangement styles, selecting a gorgeous wedding gown and stunning wedding suit, hiring the most apposite wedding limousine, choosing the wedding officiant, sending out the wedding invitations and many more. It would not be enough just to check out their social media accounts and portfolios; it would also be better if the couple will have the chance to ask some pertinent questions through a scheduled interview. The interview would be the perfect venue to see how well the wedding photographer communicates with his clients, if he’s open to suggestions and criticisms and how well he conveys his ideas and concepts to the couple. It is very important to take note if the photographer that a couple is planning to hire if he was able to capture all the most important moments in the wedding such as the time when the groom and the bride locked their eyes during the exchange of vows or when the father of the bride shed a tear of happiness when the wedding officiant finally announced their sacred and official union as husband and wife. It is important that the couple is comfortable with the photographer so that they may effectively verbalize their preferences and so with the photographer so that he can express his valuable suggestions and ideas more effectively. Being able to work harmoniously and comfortable with each other will bring out more successful and remarkable results.It is very significant for the wedding photographer to know the precise decision of the couple whether he is hired or not, and this should be explicitly expressed by the clients so that the photographer would be able to block out the date in his calendar and would not accept other bookings from other clients. The couple should not forget to confirm the booking especially two weeks before the big day. It is important that an agreement or contract be signed between the photographer and the client because it will protect both parties in case one side fails to meet his obligations towards the other. It would be an assurance that the photographer would perform his duties and responsibilities based on the provisions agreed upon by the client and the professional wedding photographer. 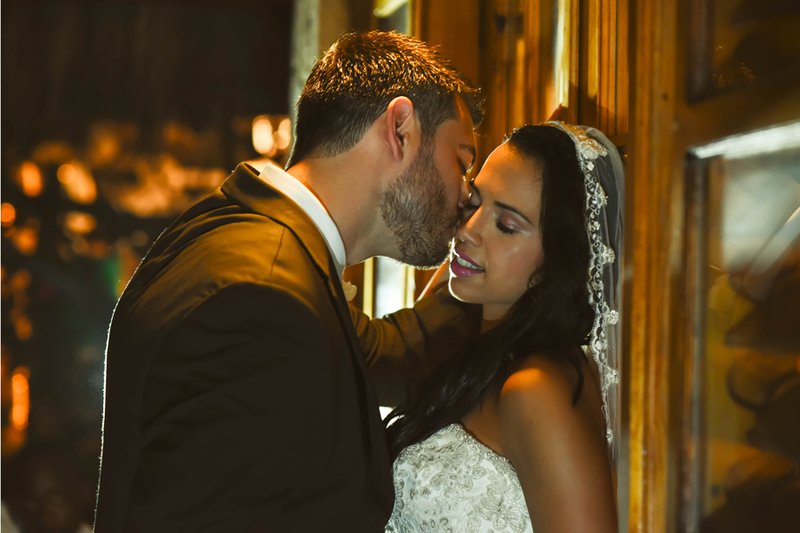 When the couple has established what type of wedding style they would want for their photos, the nest important step would be to read reviews from brides who have recently concluded their weddings and browse some local listings to look for the most reputable and credible photographers in Jamaica. It is essential to look into these photographer’s blogs and scrupulously look at the wedding photos they have shot recently. From, here the couple will have a better idea if the photographer would be able to provide them with a collection of wedding pictures that will be able to clearly depict the wedding they have so dreamed of all their life. It would also be advantageous to look at their social media accounts like Facebook, Twitter, and Instagram; it would be more helpful if they have positive reviews from previews clients on their page. Being busy and preoccupied with all of these details, one of the most important things that should not be missed is hiring the services of exceptional and professional Jamaican wedding photographers and videographers to be able to capture the once-in-a-lifetime grandiose and momentous event; the wedding. With outstanding and remarkable wedding photos, the couple can re-live all the memories and emotions that have been shared and expressed during that precious and memorable occasion where the couples say their “I do’s” and become united as husband and wife in front of their loved ones and friends. 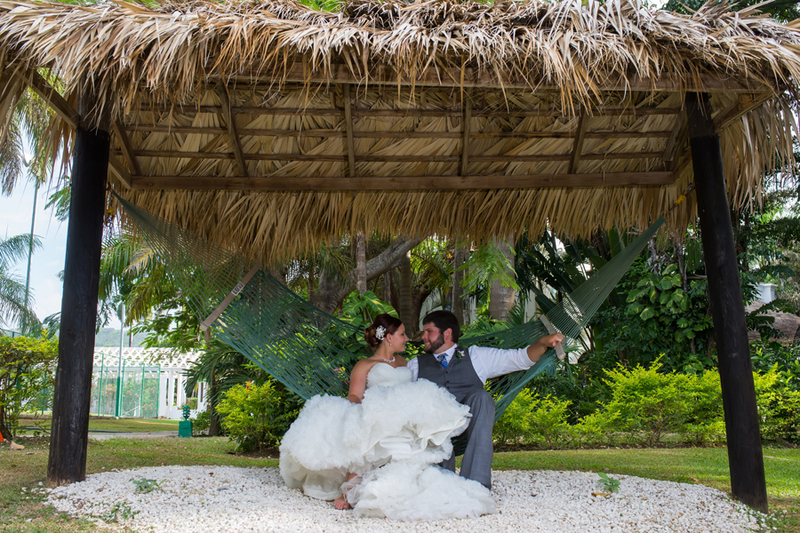 Nothing and no one can re-create the exact same feeling and ambiance, and this is why hiring a Jamaica wedding photography expert is the best decision a couple has to make. Wedding photos could be the best reminder of how couples professed their undying love to their partner even after 50 years or so. These are the only tangible keepsakes that couples can hold on to and tell what has actually transpired during that special day, and this is basically the reason why choosing professional and experienced wedding photographers is imperative.Here’s how you can spot the best shutterbug there is to capture every important detail on your wedding day: It is very important that couples that are soon to be tying the knot in marriage decide what photography style they prefer for their wedding photo album before they start searching for and calling different photography studios to hire their services. Photographers have their own distinct style as part of their expertise. The couple could choose from a wide variety of styles like the documentary style, the portraiture style, the artistic style, the lifestyle photography style and the dramatic photography style. You’re guaranteed to get the Shots You Want. 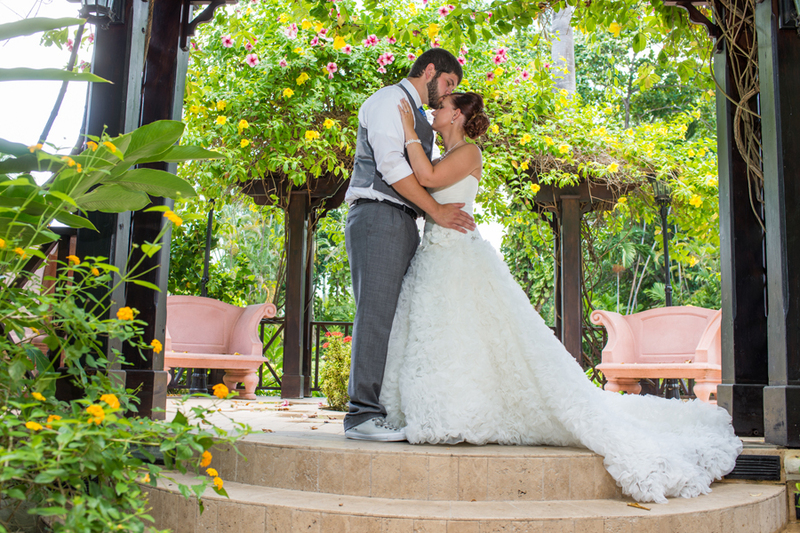 Professional Jamaican wedding photographers will be focused on one thing during the wedding–capturing those special moments that you want to remember forever. A friend or family member may miss the opportunity to get that perfect shot during the excitement of the day, but you can count on a photographer to make sure all of the planned and unexpected moments will end up captured. Your Guests Can Just Be Guests. At a destination wedding, your guest list is limited to the people who matter most to you. You don’t want any of them to miss out on celebrating with you by having to view everything from behind the lens of a camera. You’ll Discover Settings You Didn’t Know Existed. 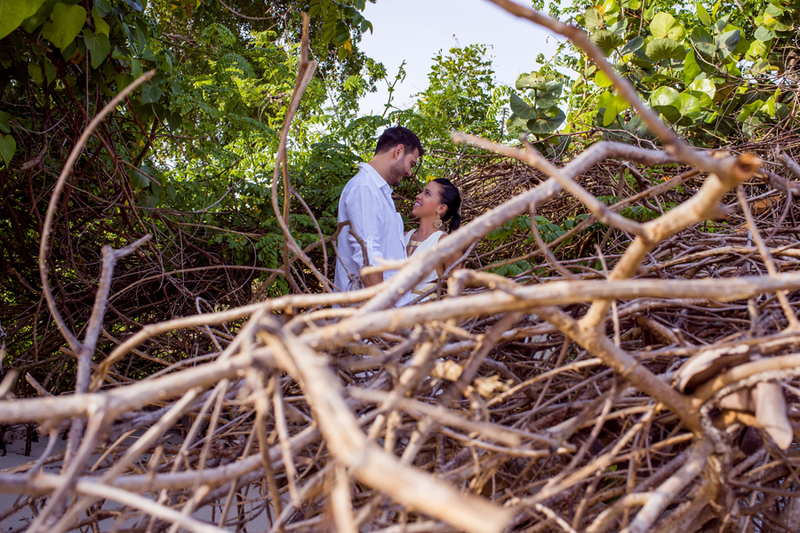 Experienced Jamaican wedding photographers are familiar with the island and know of hidden spots that are perfect for capturing stunning photos. Not only do the pros know where to go, but they know how to pose you to make the most of the background. 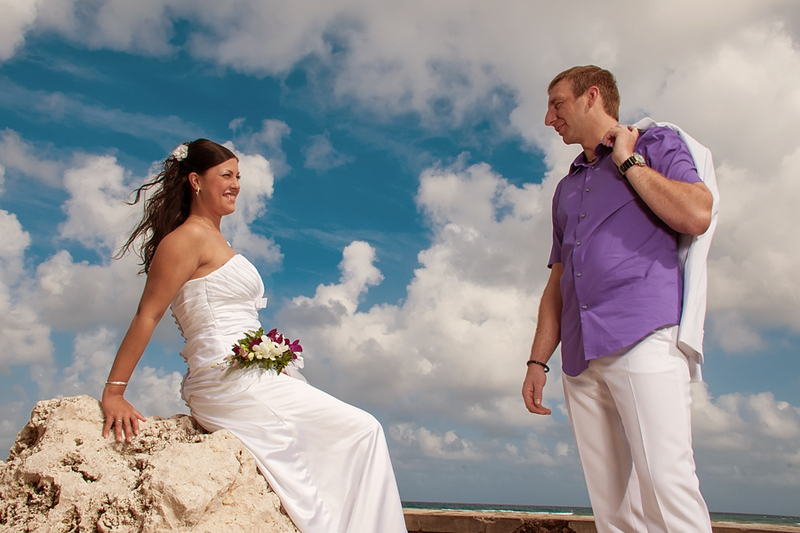 Your wedding photos will reflect the true beauty of Jamaica when you leave the photography up to a professional. Your Photos Will Be Guaranteed to Be of Good Quality. A lot goes into taking a great picture. You need to understand how light works focus properly and accommodate for shadows. Even amateurs who take great pictures don’t have the expertise to take photos of the same quality as a photographer. With better equipment at their disposal, pros are ready for anything on your wedding day and will make sure you get beautiful photos. Your friend or family member just can’t do the same with a smartphone or even a DSLR camera. You Won’t Have Any Extra Worries. The last thing that you want to do on your wedding day is worry about your wedding pictures! Jamaican wedding photographers will take the stress away and allow you to focus on making memories, not on whether the person you’ve asked to take pictures is capturing them. PHOTOGRAPHER NAME is one of the most well known Jamaican wedding photographers, offering services for destination weddings all around the island. For more information about our services, please contact PHONE NUMBER or EMAIL ADDRESS. A great Jamaican wedding photographer take photos in a kind of a way that couple’s hidden and natural beauty shows through the photographs marvelously. An unknown observer cannot differentiate between the natural photographs and organized ones. 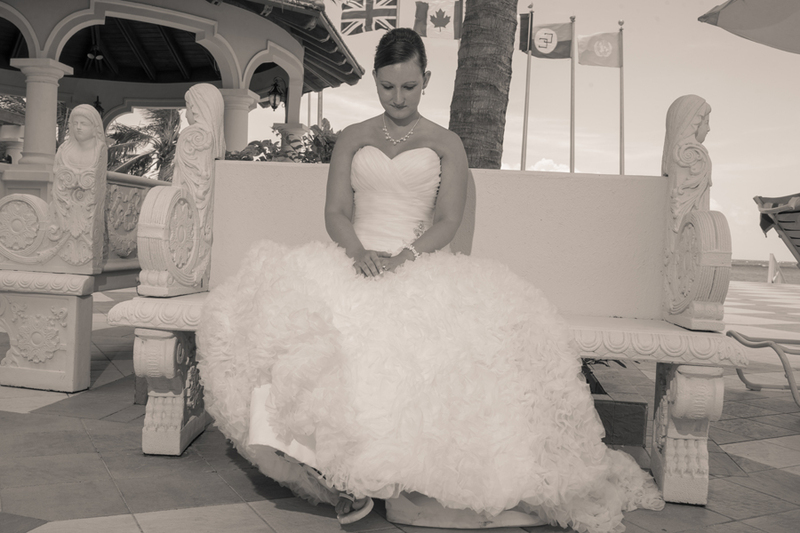 Ensure that you go for a professional and inexpensive wedding photographer in Jamaican for your wedding. A professional wedding photography includes the pictures of wedding reception, ring ceremony, groomsmen preparation, bridal party, congregation of guests and relatives, bridal preparation and much more. Your wedding day is not something that you can relive if you don’t have photos or video so this makes it extremely necessary for you to get every single special moment of the day captured within frames. 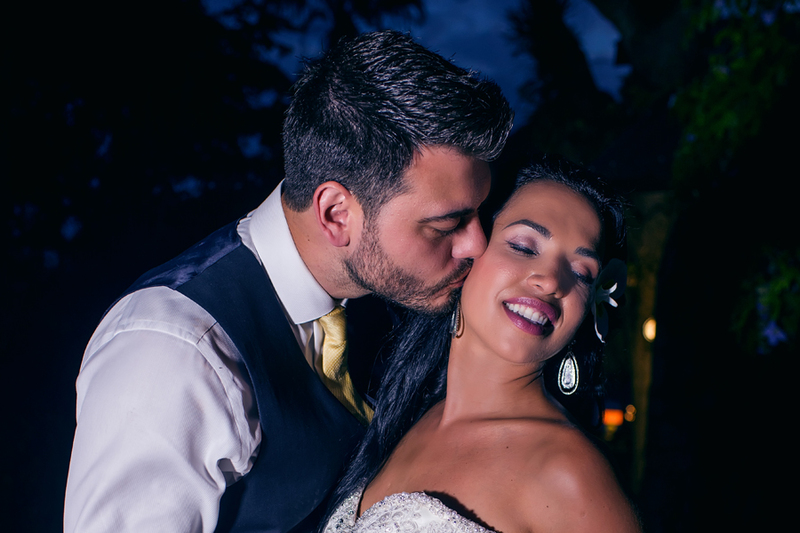 And for that, you need a wedding photographer, who is not only skilled but also reliable and keen on getting the best moments of your wedding. Although, there is no dearth of wedding photographers these days, you would want only the best from the pack to do this job, even if they are located far off. Jamaica is the chosen place for your sophisticated destination wedding; the demands for professional Jamaican wedding photographers are subsequently on the rise. Any type of compromise while deciding for the wedding photographer can prove to be disastrous later, as inferior quality photos may not last long enough for even showing to the children of that couple. Some people may be tempted to ask their friends to shoot their wedding photos, as it will save a lot of their money; but it may make these photos terribly unattractive and mar all their special moments from getting exceptionally captured within the frames of the camera as the lifelong souvenirs of their wedding. Therefore a number of new photography companies have been launched in this region, with the hope of booming in this photography business. 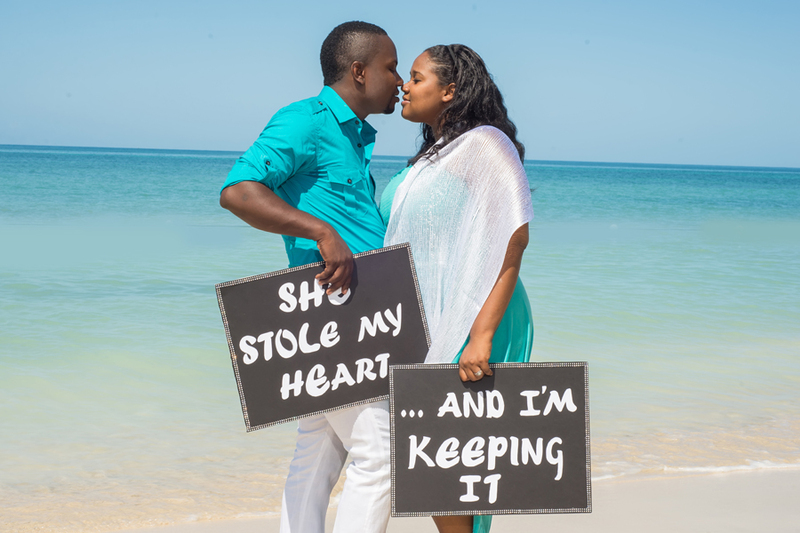 But the new couples and their relatives need to choose the right kind of photographer, who can give them the proper taste of Jamaica wedding photography. The clients should look at the quality and style of the photographer work before selecting, so that they can obtain the best deal and get superb snapshots of all the moments of the wedding, to make this event memorable for years thereafter. If you struggling to find a wedding photographer there is definitely more than enough sufficient choices here for you to choose from, most Jamaican photographers will treat your wedding like a series event. But only the best will look at it as a wedding love story. They understand that a wedding is all about celebrating love and relationship and all other stories that evolve during the wedding are subsidiary to and revolve around the central bridegroom story. Another story that weaves in and out of the main story and makes for good pictures is friends and family reunions. A wedding happens to be a great platform for reunion among family members and friends who seldom see each other. And these make for perfect pictures. Perfect pictures, however, do not always feature happy faces. Even sad and crying faces of the bride’s parents can make for some amazing wedding pictures. Watching their darling daughter walk down the aisle is perhaps the most difficult experience for a parent. Wedding photographers must understand that these moments need special care while being captured. Professional Jamaican wedding photographers know the trick well. Even mischievous acts done by the bride, the groom or friends or anyone else for that matter can create wonderful moments worth being photographed. From smashing cake on faces to plying prank on the couple, every act is special and is cherished later. 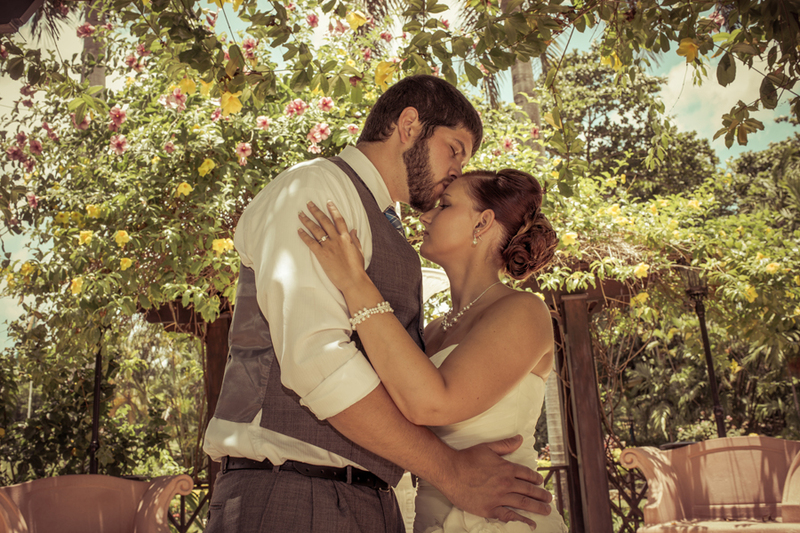 Professional wedding photographers help you cherish your wedding memories later through pictures. The first thing to do in the process is to decide on the style of wedding photography you would want. This means you need to think if you would want a more traditional look or you prefer something, which is not the usual kind of wedding pictures. Sometimes, individuals prefer their wedding photographs to be taken candid, i.e. without their guests knowing about it. There are many more different styles in which wedding pictures can be captured and so it is vital that you know about them. 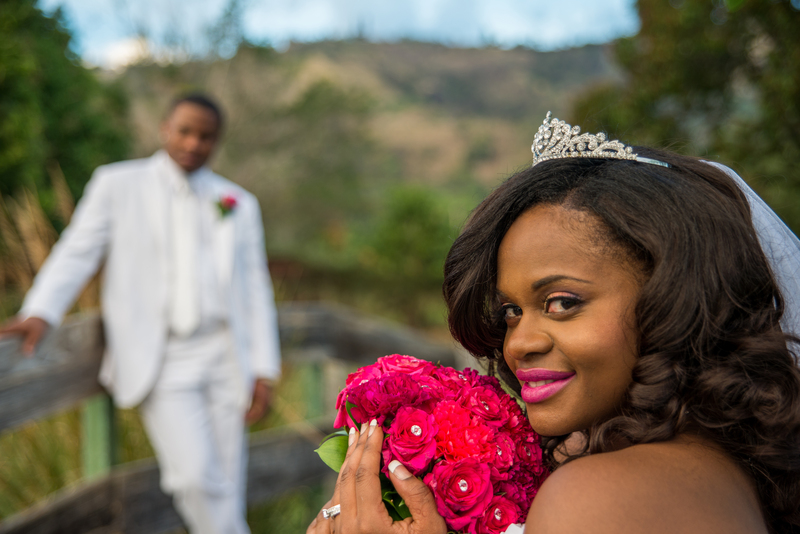 A Jamaican wedding photographer can offer you a range of services. You can hire him for a day, a couple of hours or to capture videos and photos throughout the different wedding ceremonies. You can even have him click photos for the bridal portraits, rehearsal dinner photographs, newly wed photos and much more. So, you need to decide on the kind of wedding photography service you would want. You need to know about the amount of money you are ready to spend hiring a Jamaican wedding photographer. While doing so, you should take into account the photographer’s fee, the cost of the albums and prints. By contemplating on the budget you will have a clear idea of the amount you should be spending on this particular expense of the wedding. You should also decide on whether you want the wedding photographs in the form of CD or negatives. This would, however depend on the number of photos that are taken. If you have a large number of prints, you can go to the negatives or even get them in a CD-ROM. 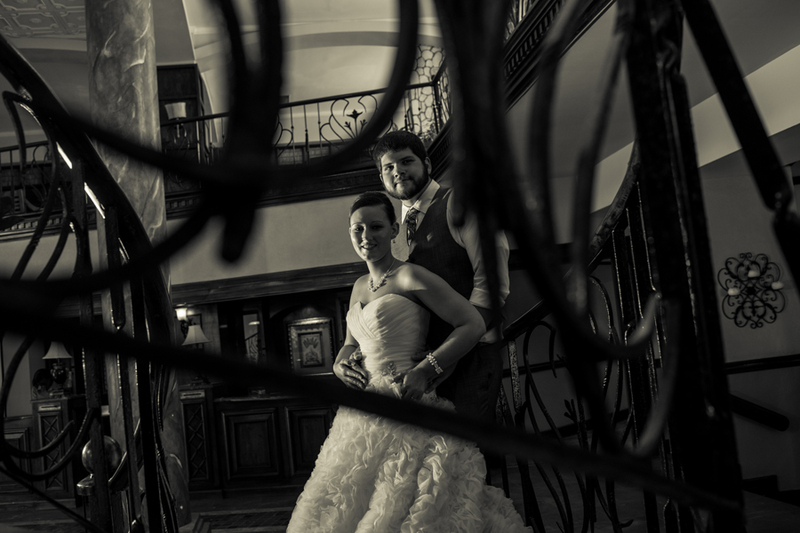 Get an album made of the selected wedding photographs only. Do your research before you finalize on one wedding photographer. For this, you should log on to the Internet where you can find a range of top photographers. Also, you can ask your friends if they would suggest some photographer. Last but not the least; you must meet your chosen wedding photographer before the wedding day. This would help you explain to him about your expectations. You could even ask him about any additional cost that might be incurred. For example, if it is a destination wedding, the photographer would charge extra for flying to the destination and staying throughout the wedding. By having a good wedding photographer by your side will ease you from the stress, as you would look beautiful in every photo taken by him. Photography is an art. 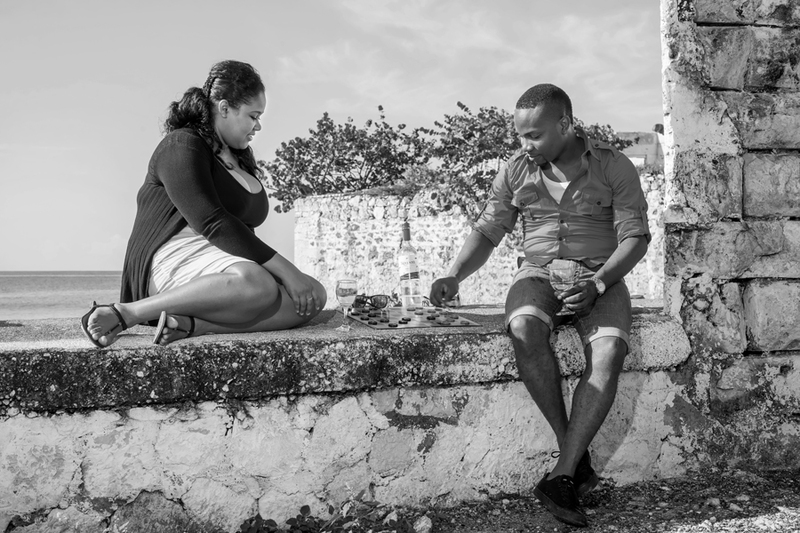 A good Jamaican photographer entices the observers’ attention, display or shares an incident and communicates an idea. Usually you will be capable to distinguish between the pictures taken by an amateur and an expert photographer. There are several aspects that makes a photographer superior than the others, but what exactly are they? One of the factors is the camera used. The tools used by your photographer help make his or her photographs much better. With technology being enhanced every day and with digital cameras assisting to make photo finishes appear so lovely; this is something that every Jamaican photographer must keep in mind. One more point that aids make a good Jamaican wedding photographer is the props and lighting they use to augment a photo. With the lighting being a seamless component of a good camera, it is these kinds of stuff that assist to make a good photographer, better. Another feature is getting the right camera angles, and that knowledge comes with the proficiency of the photographer. This is the moment you have been dreaming of all your life. The man you are in love with has proposed with a lovely ring. You are thrilled to be starting a wonderful life with the man of your dreams. You both want a wedding that you have dreamed of, to start this new journey in life. You have a wedding planner, or maybe you want to plan the wedding yourself. There are an umpteen number of things to take care of, the venue, the dress, the caterer, the guests, the best man, and the brides’ maids. It is necessary to get started on most of these things as soon as possible. You have to keep in mind that like other services, you have to start thinking of a great Jamaican wedding photographer. 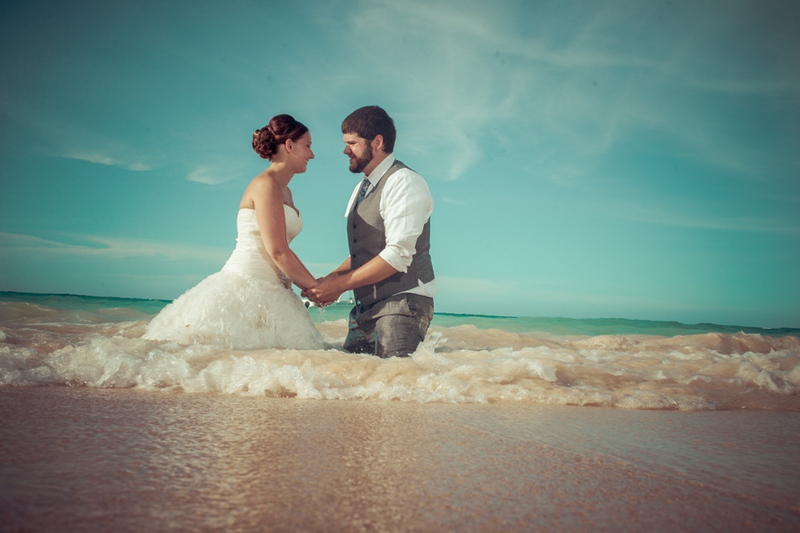 The wedding photographer will be the one to preserve your best day for posterity. 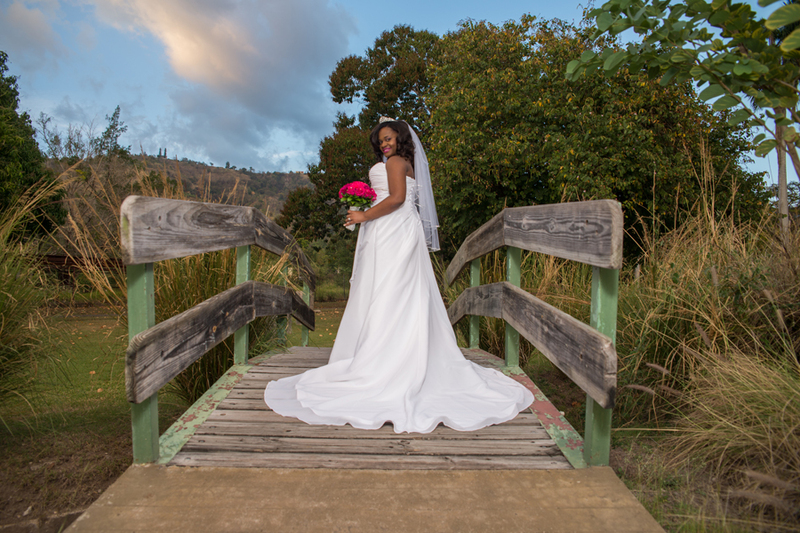 It is best to make a checklist when you set out for finding a Jamaican wedding photographer. The first thing to do is to look for a good photographer in your network. Ask around, a friend is certain to have a good recommendation. It would be good to take a look at some of the work done by the photographer to gauge if he is suitable for you. A photographer may be good at taking stock shots, but you may have something different in mind. You may prefer more casual, natural poses for the wedding.